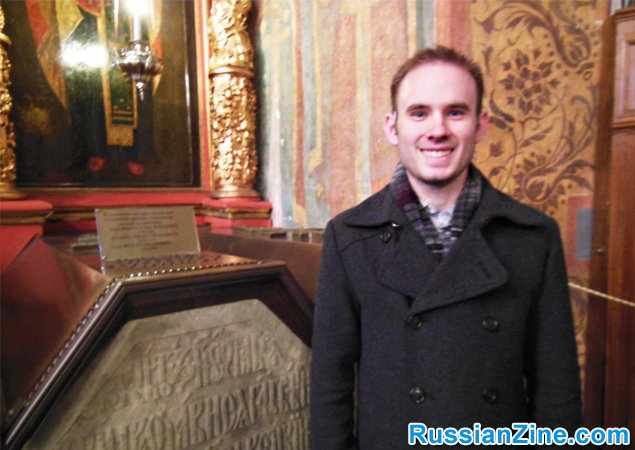 Russian is an incredibly difficult language to learn those who take on the challenge are very brave. I’m going to begin this ‘testimony’ by being blunt. First of all, if you’re going to buy that one book that claims to be the best resource for learning Russian, don’t. If you’re going to enroll in a Russian class in a community college, don’t. Finally, if you’re going to shell out money to hire a private tutor, don’t. Why? Because I did all three in a span of 2 years and could barely speak a sentence! All I retained was vocabulary and modifiers which I had absolutely no idea how to use! To learn any language you need something interactive, a tutor may seem interactive but it’s not flexible enough and in my experience I was simply handed packets. This is not how you learn a language. 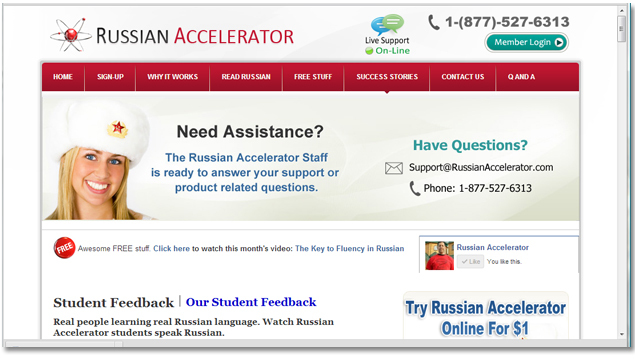 I was nearly going to give up my studying the language until I heard about Russian Accelerator. I checked it out and that’s when everything changed. I started the program and I did a trial which is available on the website. From this lesson alone I was able to retain so much more information than I ever had those past 2 years! I immediately purchased the rest of the program. Now to backtrack on my earlier statements about the tutor, the book, the class, these things are only useful as a buffer. This means they’re useful for reminding you of vocabulary, verbs, adverbs, modifiers, sentence structure etc. However, that only works if you already have a grasp of the language. Russian Accelerator gave me that grasp! It helped me make sense of the language in just 2 or 3 units, which there are 18 in total. It was the first time ever I felt confident and that I was actually learning, because I was! The reason why I was so frantic in learning Russian was that I had a trip to St. Petersburg coming up via study abroad program. I was going to be living there for a few months with a Russian as well as studying at a university there. There is one particular unit in the program which focuses on asking directions. In one part of the city I had actually gotten lost. It was my first time out on my own without the “chaperons” or the other students. I was panicking but I utilized what I had learned from that unit and asked every person I could for directions and progressively made my way towards the subway I needed! I was so relieved! There were some American students there that didn’t speak a lick of Russian and I have no idea what they would have done in my situation, but I knew exactly what to do thanks to Russian-Accelerator. The language classes I took in Russia were tailored to the American teaching style and they were, to put it bluntly, a joke. The only reason I learned anything useful was because I had a grasp of the language already. Not to say I didn’t learn anything, I had learned some more verbs, certain expressions or sayings but other than that I know I wouldn’t have learned a darn thing had I depended on that class to teach me. While quite a few students earned 2’s and 3’s on their exams I would earn 4’s and 5’s! All solely thanks to Russian-Accelerator! So please, if you’re trying to learn Russian, try learning Russian with Russian-Accelerator first. I urge you to put the book, the class, and the tutor on hold, and just try this program first. I will always be grateful for it and it was a real treasure for me to find! Now I know I’ll never let the Russian language escape from my brain! Russian Accelerator made sure of that. Honestly, it works and you will be satisfied! I agree, this is one of the best Russian language learning programs available. A few members of my forum have praised this for its ease of understanding and implementation compared to Rocket Languages and Pimsleur.